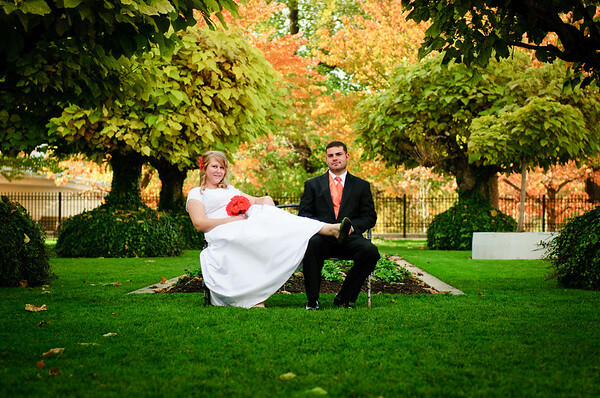 Tiffany & Shawn's colors were green and orange, and the colors at Temple Square on their wedding day matched perfectly! I love it when special things like that happen. 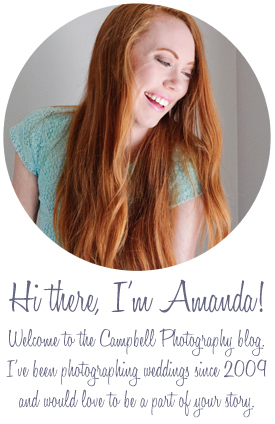 I am also a fan of duo-toned photographs, where there are two major colors. It makes a nice effect. This photograph seems almost magical to me. The blossoms with the pink in the background looks so beautiful. I also love the texture in this picture. 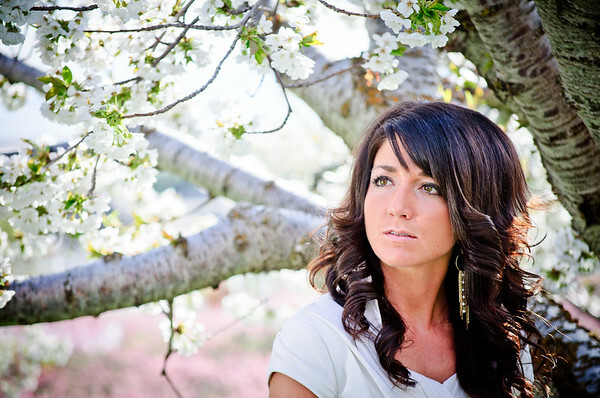 Her hair, the tree, and the blossoms all have different, interesting textures that together make a lovely composition. I love it when couples bring their own unique ideas and props to their engagements. 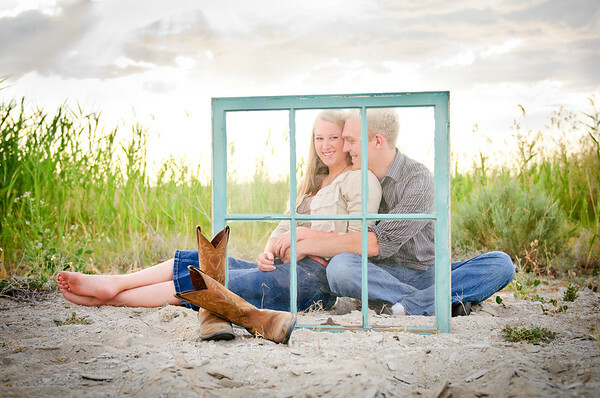 Emily's old window pane made a really fun prop that paired with the sand, tall grass, and cloudy sky made for a great portrait. I love their expressions and how happy they look. This is one of those pictures you only get one chance in a lifetime to take. The odds of me being at the salt flats again when there is a rainbow are next to none. 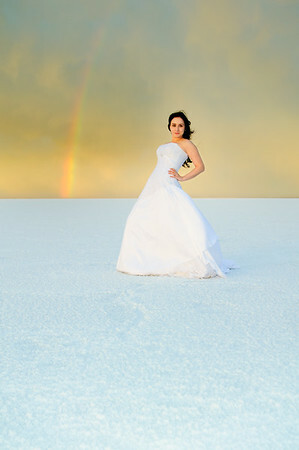 But not only is the rainbow amazing above the expanse of salt, but the bride looks great with her hair slightly blowing back as well. I am in love with pictures of people laughing. I really am. This one happened during the cake cutting. I love how darn cute the bride looks. This photograph just makes me happy every time I see it. As you may know, I am a big fan of ring shots. What I like most about this one is that I took something that has been done a million times, but put my own twist on it. It's different than most of the 'ring in the bouquet' pictures because it isn't the usual 'sit-them-on-top-of-each-other-on-the-daisy,' but I found a different angle that included the surroundings to make it just a little bit unique. 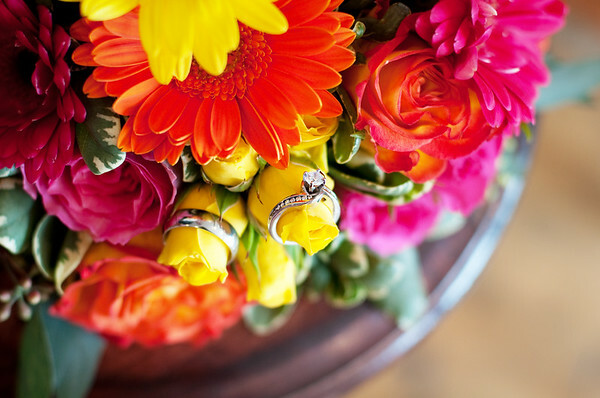 I also love the color and how the rings don't get lost in the array of flowers. This photograph invokes quite a different mood. I love the how romantic it is. Her hand placement makes the picture even more romantic. They look so peaceful and so in love. I also love how he's wearing a collared shirt and nice coat. It's super classy. Add to that the black and white finish to emphasize the emotion and you've got yourself a pretty nice photograph. 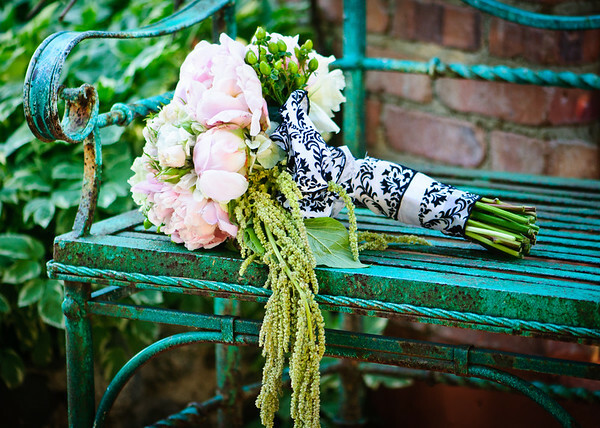 This is my favorite bouquet shot EVER. I love the texture of the chair next to the soft smooth texture of the flowers. I think the dangley things are really cool (I should probably know what those are called, but I don't.) This one also has the duotone thing that I like. The green of the stem, leaves, etc is echoed in the chair and the bush in the background, and the pink of the flowers is mirrored in the bricks behind the chair. Overall it's a beautiful and very pleasing photograph. Wil & Kim's Wedding Formal! I do my best to coach couples on how to kiss. It sounds silly, but in so many kissing pictures the couples have 'duck lips.' For some reason that's what we naturally do when we kiss. But this picture is the absolute perfect kiss. No duck lips here, and it's just a split second before the lips actually touch, which always looks better than lips smashed together. This picture is timeless, classic, and beautiful. I don't think romance can look any better than these two. Have a happy New Year everyone! I can't wait for all the adventures we'll have and the amazing people I"ll meet in 2011!